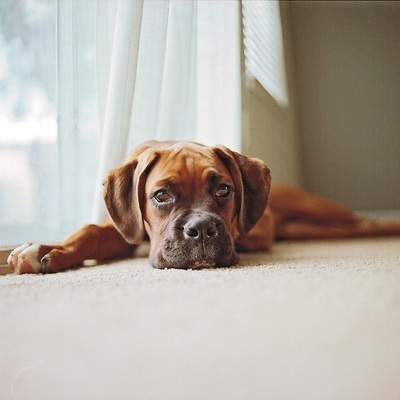 Holidaying with a pet is one of the fastest-growing trends in the travel market. It became cheaper and easier to travel abroad when new, simpler rules were introduced in January 2012 and now many dogs, cats and ferrets, are chipped and vaccinated and have their own pet passport. It seems that a holiday just isn’t complete without the family’s furry four-legged friend in tow. When it costs between £15 - £50 a day to leave Mutley (or Arthur in our case) behind in a kennel it can be more cost effective too. In 2013, DFDS Seaways transported 42,129 pets across their Eastern channel routes and saw a 14% year-on-year increase in April 2014. Ferry company LD Lines also reported a 29% increase in pet travel last year on its Portsmouth-Le Havre route. Pierre & Vacances offer a huge range of inspired vacations from serene spa breaks to action-packed activity holidays suitable for everyone. Their inclusive family ethos of ‘playing together and staying together’ also extends to pets as long as they have a valid rabies certificate. All Pierre & Vacances properties are mutt and cat-friendly with pet prices from 9€ a day (1-6 days) and 55€ per week (booked in advance). The luxury self catering accommodation ranges from studios and apartments to villas and country houses with many options just a short pet-friendly drive from Calais, Dunkirk, Le Harve Caen or Cherbourg. Set amid beautiful countryside and dotted along the stunning French coastline, Pierre & Vacances’ car-free holiday hamlets offer not just comfortable holiday accommodation but fun activities and surroundings to entertain all ages and breeds. Located alongside a striking 18-hole golf course and close to the sea, Belle Dune Holiday village blends into a pretty environment of lakes, dunes and trees that are ideal for walkies. The eco-friendly, pedestrian holiday village offers a number of nature-based activities for an action-packed weekend or longer holiday. Prices in the Village Club Belle Dune start from £391 for a studio apartment sleeping up to 4 for 7 nights from 13th September. Pierre & Vacances 3* Normandy Garden Holiday Village is in easy reach of Calais, Le Havre, Caen or Cherbourg. Normandy Garden holiday resort is set in the heart of the Auge country, 2 hours from Paris and close to Deauville's, Cabourg's and Villers-sur-Mer beaches. The self-catering apartments, houses and cottages are all wooden with tiled or slated roofs inspired by Normandy's traditional architectural style. Normandy Garden apartments are surrounded by 30 acres of hilly landscape and split into 8 districts. Save 22% on June arrivals with prices starting from £543 (previously £703) for a 1 bedroom apartment sleeping up to 5 (based on 28th June arrivals). Residence Le Green Beach is situated just a few kilometres from Omaha’s huge beach and unspoilt natural coastline. Based in a 7-hectare park, on the prestigious Omaha Beach golf course this Authentic and characterful location is ideal for those travelling with pets. After a relaxing stroll along the quays, follow the path leading up to the cliff to discover ‘Tour Vaughan’, built in 1694 as a defence against Anglo-Dutch privateers and English raids. From one side, you can enjoy views overlooking the entire harbour while cliffs on the other act as a barrier against the crashing waves below. Prices available from as little as £294 for 7 nights in a studio apartment that sleeps up to 4 on a self- catering basis departing 20th September. Alternatively take the puppy to the pistes! Avoriaz is fantastic for an Alpine Adventure in summer or winter. 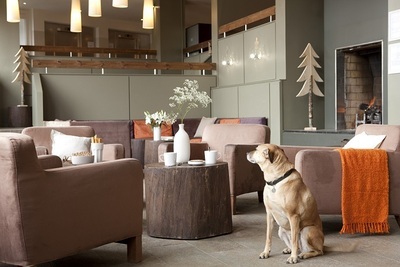 Avoriaz in the Portes du Soleil offers a wealth of outdoor activities that kids and adults love from biking, hiking, horse riding, canyoning and climbing to exploring the spectacular surroundings with the family pet. It’s worth going alpine for a great value family holiday that’s packed with adventure. Pierre & Vacances 5* Premium Residence L’Amara is situated within the recently developed L’Amara area of the resort featuring new restaurants, bars and shops. Apartments are contemporary and come with a fully equipped kitchen. The residence also has its own swimming pool and spa (facilities include a sauna, steam room and gym and ‘Algothem ‘Deep Nature Spa’ treatments) and is close to the Aquariaz complex. Aquariaz is Europe’s highest waterpark based at 1800m - The park features natural tropical vegetation and temperatures, a central pool area with a gentle flowing river, climbing walls and a large swimming pool. Prices start from £750 based on four sharing a 1 bedroom apartment for 4/5 people, departing 19th July for 7 nights. Located in the Crozats district, the new Pierre & Vacances 4* Residence Atria-Crozats has panoramic views over the Avoriaz and Portes de Soleil mountains. Perfect for family ski holidays, the residence has direct access to the ski slopes and the resort centre. There is also a sauna, steam room and gym in the residence. Built in a traditional Alpine style, the self catering ski apartments are comfortable and finished to a high spec. Who says you can’t take a dog skiing? 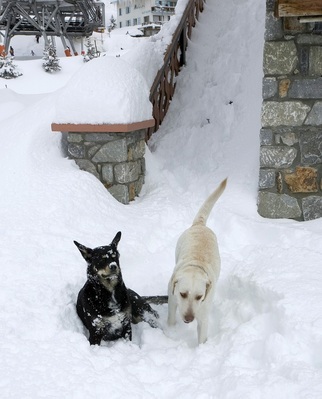 With alpine walks and an inexhaustible supply of snow balls to throw, the company of man’s best friend isn’t seasonal. Prices start from £632 (reduced from £790 saving 20%) based on four sharing a 1 bedroom apartment for 4/5 people, arriving 12th December for 7 nights. For more information on Pierre & Vacances pet-friendly accommodation visit: pierreetvacances.co.uk. It costs £16 to carry pets each way with Eurotunnel and £19 per carriage with DFDS Seaways. For more information about DFDS Seaways or to book a ferry crossing visit dfds.co.uk.